Ginger McIntyre married Mark Edward Bagwell, son of Walter Edward Bagwell and Blanche Elizabeth Fowler, after 1960. John B. Bagwell was born in June 1838 in Ontario, Canada. He married Lydia Mills circa 1860. John B. Bagwell died on 28 September 1922 in Niagara County, New York, at age 84. He was buried at Mount View Cemetery, Pekin, Niagara County, New York. Lydia Mills was born in 1841 in Ontario, Canada. As of circa 1860,her married name was Bagwell. She married John B. Bagwell circa 1860. Lydia Mills died on 5 January 1920 in Niagara County, New York. Charles Thomas Bagwell was born in October 1860 in Ontario, Canada. He was the son of John B. Bagwell and Lydia Mills. Charles Thomas Bagwell married Selenia Moyer circa 1885. Charles Thomas Bagwell died on 24 August 1938 in Cambira, Niagara County, New York, at age 77. He was buried at Mount View Cemetery, Pekin, Niagara County, New York. Ella Bagwell was born on 22 February 1862 in Cambria Center, Niagara County, New York. She was the daughter of John B. Bagwell and Lydia Mills. As of 28 December 1882,her married name was Barber. Ella Bagwell married Alva Matthew Barber on 28 December 1882 at New York. Ella Bagwell died on 7 August 1947 in Lewiston, Niagara County, New York, at age 85. She was buried at North Ridge Cemetery, Lewiston, Niagara County, New York. Etta Bagwell was born circa 1864 in New York. She was the daughter of John B. Bagwell and Lydia Mills. Her Social Security Number was 549249094. Minnie Leona Bagwell was born on 16 September 1869 in Sanford, Niagara County, New York. She was the daughter of John B. Bagwell and Lydia Mills. As of after 1887,her married name was Richardson. Minnie Leona Bagwell married (?) Richardson after 1887. Alva Matthew Barber was born in 1860. He married Ella Bagwell, daughter of John B. Bagwell and Lydia Mills, on 28 December 1882 at New York. Alva Matthew Barber died in 1935. Selenia Moyer was also known as Selena Moyer. She was born in 1861 in Vineland, Niagara County, Ontario, Canada. As of circa 1885,her married name was Bagwell. She married Charles Thomas Bagwell, son of John B. Bagwell and Lydia Mills, circa 1885. Selenia Moyer died on 8 April 1937 in Sanborn, Niagara County, New York. She was buried at Niagara Falls Memorial Park, Lewiston, Niagara County, New York. Mildred Bagwell was born on 1 February 1886 in Sanborn, Niagara County, New York. She was the daughter of Charles Thomas Bagwell and Selenia Moyer. As of 8 April 1922,her married name was Oloughlin. Mildred Bagwell married William Clayton Oloughlin on 8 April 1922. Mildred Bagwell died after 1961 in Niagara County, New York. John Murray Bagwell was born on 8 March 1888 in Niagara County, New York. He was the son of Charles Thomas Bagwell and Selenia Moyer. John Murray Bagwell married Anna Shenk on 4 February 1922 at Niagara County, New York. John Murray Bagwell died on 29 December 1962 in Niagara County, New York, at age 74. Anna Shenk was born in 1891 in Niagara County, New York. As of 4 February 1922,her married name was Bagwell. She married John Murray Bagwell, son of Charles Thomas Bagwell and Selenia Moyer, on 4 February 1922 at Niagara County, New York. Anna Shenk died on 1 August 1943 in Erie County, New York. She was buried at Niagara Falls Memorial Park, Lewiston, Niagara County, New York. Donald Howard Bagwell was born on 25 November 1923 in Niagara Falls, New York. He was the son of John Murray Bagwell and Anna Shenk. He enlisted in the US Army Signal Corps in 12 October 1942 at Buffalo, New York. Donald Howard Bagwell married Jean Stephen on 2 August 1947. Donald Howard Bagwell died on 13 September 2005 in Arizonia? at age 81. Jean Stephen married Donald Howard Bagwell, son of John Murray Bagwell and Anna Shenk, on 2 August 1947. Marjorie Irene Bagwell was born on 20 July 1925 in Niagara County, New York. She was the daughter of John Murray Bagwell and Anna Shenk. She enlisted in the US Navy from 20 Nov 1951 to 19 Oct 1959. Marjorie Irene Bagwell died on 15 October 2008 in Ellsworth, Maine, at age 83. Robert Murray Bagwell was born on 26 September 1927 in Niagara Falls, New York. He was the son of John Murray Bagwell and Anna Shenk. Robert Murray Bagwell died on 23 September 1994 in Dover, Kent County, Delaware, at age 66. Richard Clarence Bagwell was born on 9 October 1931 in Sanborn, Niagara County, New York. He was the son of John Murray Bagwell and Anna Shenk. Richard Clarence Bagwell married Violet Mustari in 1957. 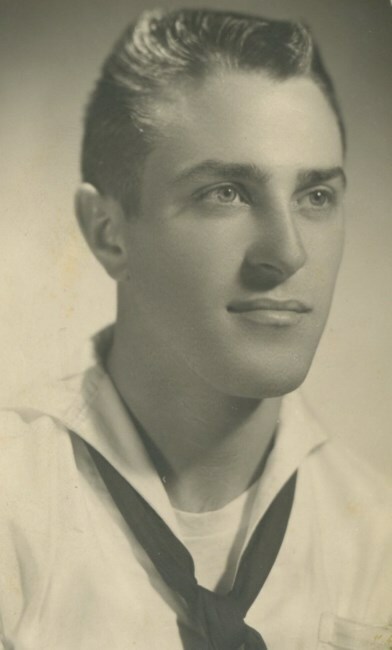 Richard Clarence Bagwell died on 12 April 2010 at age 78 Served as an MM2 US Navy during the Korean War. zona 85042 Memorial celebration to follow at 9:00 a.m. Interment services will take place immediately after at Veteran's National Memorial Cemetery of Arizona. 23029 North Cave Creek Road Phoenix, Arizona 85024 Family extends invitation to reception for all immediately following burial. He was buried at National Memorial Cemetery of Arizona, Phoenix, Maricopa County, Arizona. William Clayton Oloughlin was born circa 1880 in Canada. He married Mildred Bagwell, daughter of Charles Thomas Bagwell and Selenia Moyer, on 8 April 1922. Rosa Beatrice Bracy was born on 29 January 1906 in Tennessee. As of before 1924,her married name was Bagwell. She married Lawrence Burney Bagwell, son of John Milton Bagwell and Annie Lillian Stewart, before 1924. Rosa Beatrice Bracy died on 13 September 1956 in Nashville, Davidson County, Tennessee, at age 50. She was buried at Greenwood Cemetery, Clarksville, Montgomery County, Tennessee. Thelma (Bagwell) Norris was born on July 15, 1924, and she was the daughter of Lawrence Burney Bagwell (1903-1982) and his wife Rosa Beatrice (Bracy) Bagwell (1906-1956). She was married about 1942 to William Lans Norris (1920-2002), the son of Benjamin Carlyle "Carol" Norris (1892–1954) and Jessie Weaver (Huffman) Norris (1894–1990). For 24 years Thelma was a secretary and receptionist for CPA Jeff L Norris. She was also a homemaker who loved to sew and collect antiques and was a member of Cumberland Presbyterian Church. She was 92 years old when she passed away on May 1, 2017 at Spring Meadows Health Care Center in Clarksville, Tennessee. Thelma was preceded in death by her parents and by her husband, while survivors included two married sons; a married daughter; married brother; four grandchildren and six great-grandchildren. Graveside Services were held at Resthaven Memorial Gardens. Original obituary in The Leaf Chronicle on May 3, 2017. She was buried at Resthaven Memorial Gardens, Clarksville, Montgomery County, Tennessee. William Lans Norris was born in 1920. He married Thelma Bagwell, daughter of Lawrence Burney Bagwell and Rosa Beatrice Bracy, in 1942. William Lans Norris died in 2002. David Gary Bagwell, 50, of 1113 Highway 290, Moore, died Thursday, Feb. 28, 2002, at his home after an extended illness. A life-long resident of Spartanburg County, he was the son of the late James Leroy and Julia Mooneyham Bagwell. He was a 1970 graduate of Dorman High School, and was employed with the City of Spartanburg Department of Public Safety for 18 years. He was also owner and operator of a retail/wholesale shoe business for 10 years and the Whistle Stop Cafe in downtown Spartanburg. He was a member of First Baptist Church of Moore and had coached Little League Baseball for a number of years. Surviving are his wife, Sharon Sligh Bagwell, of the home; three children, Tracie Bagwell Mercer and husband Joel Barton Mercer, of Spartanburg, Brooks David Bagwell of Spartanburg and Private Mary Beth Bagwell, serving in the U.S. Army at Fort Leonard, Mo; one stepson, Lee Wilson, of Mount Pleasant; two granddaughters, Isabelle Isaacs Mercer and Olivia Brook Johnson; one sister and brother-in-law, Catherine B. and Johnny Wingo, of Roebuck; two brothers and sisters-in-law, James R. "Jim" and Paita Bagwell of Boiling Springs, and Carl F. "Frank" and Ruth Bagwell of Spartanburg; and nine nieces and nephews. Funeral services will be held Sunday, March 3, at 2 p.m. at Bethlehem Baptist Church, conducted by the Rev. Alvin Burdette and the Rev. Alan Bagwell. Interment will follow at the church cemetery. Active pallbearers will be Robert Walden, Curt Strickland, Dean Israel, Glenn Greer, Kenneth Wingo, Chad Bagwell and Tim Wingo. Honorary pallbearers will be City of Spartanburg Public Safety Officers. In lieu of flowers memorials may be made to Spartanburg Regional Foundation, Gibbs Regional Cancer Center, 101 E. Wood St., Spartanburg, SC 29303; or First Baptist Church of Moore, 1114 Moore-Duncan Highway, Moore, SC 29369. The family will receive friends tonight from 6 to 8 at the Lanford-Pollard Funeral Home; and, they will be at the home at 1113 Highway 290. ---The Greenville News, 2 March 2002. He was buried at Bethleham Baptist Church Cemetery, Moore, Spartanburg County, South Carolina. Helen Ruth West married Fred Frey Bagwell, son of Samuel William George Bagwell and Nancie Carolyn Saterfield, on 8 January 1987 at Coffee County, Tennessee. Dottie Inez Sanders was also known as Dorothy Inez Sanders. Dottie Inez Sanders was also known as Inez Sanders. She was born on 6 May 1921 in Tennessee. As of before 1940,her married name was Bagwell. She married Fred Frey Bagwell, son of Samuel William George Bagwell and Nancie Carolyn Saterfield, before 1940. Dottie Inez Sanders died on 30 September 1998 at age 77. She was buried at Greenwood Cemetery, Clarksville, Montgomery County, Tennessee. Gary Randell Bagwell was born on 12 April 1939 in Cheatham County, Tennessee. He was the son of Fred Frey Bagwell and Dottie Inez Sanders. Gary Randell Bagwell died on 8 October 1978 in Nashville, Davidson County, Tennessee, at age 39. He was buried at Greenwood Cemetery, Clarksville, Montgomery County, Tennessee. Princess Eulalia “Eulalia” Green was born on 14 January 1893 in Indian Mound, Stewart County, Tennessee. As of before 1913,her married name was Bagwell. She married Lester T. Bagwell, son of Alexander Bagwell and Viola Reese, before 1913. Princess Eulalia “Eulalia” Green died on 25 April 1977 in Clarksville, Montgomery County, Tennessee, at age 84. Lester Theron Bagwell was also known as Theron Bagwell. He was born on 30 August 1913 in Stewart, Houston County, Tennessee. He was the son of Lester T. Bagwell and Princess Eulalia “Eulalia” Green. Lester Theron Bagwell married Lula W. (?) after 1935. Lester Theron Bagwell died on 28 March 1998 in Palmyra, Montgomery County, Tennessee, at age 84. He was buried at Greenwood Cemetery, Clarksville, Montgomery County, Tennessee. Lula W. (?) was born on 28 February 1917. As of after 1935,her married name was Bagwell. She married Lester Theron Bagwell, son of Lester T. Bagwell and Princess Eulalia “Eulalia” Green, after 1935. Lula W. (?) died on 7 November 1994 at age 77. She was buried at Greenwood Cemetery, Clarksville, Montgomery County, Tennessee. Billy Ray Bagwell is the son of Lawrence Burney Bagwell and Rosa Beatrice Bracy. Billy Ray Bagwell married Margaret Sue Castleberry after 1950. Margaret "Sue" (Castleberry) Bagwell was born August 24, 1933 in Montgomery County, Tennessee, the daughter of James A Castleberry (1905-1982) and Bertha Mae (Ferrell) Castleberry (1902-1982). She was married to Billy Ray Bagwell and was retired from South Central Bell where she worked for many, many years. She was also a member of the Order of the Eastern Star. Sue was 84 years old when she passed away on July 31, 2018 at Saint Thomas West Hospital. Survivors included her husband, three married sons, four grandchildren and five great-grandchildren. Graveside Services were held in Greenwood Cemetery. Original obituary in The Leaf Chronicle on August 2, 2018. She was buried at Greenwood Cemetery, Clarksville, Montgomery County, Tennessee.